Phish is one of the Great American Bands. As such, their legacy prompts a river of tribute acts to further spread the good word. These acts are many and varied — touring across the U.S. to their own degree of cult success — and important, because, as old Aesop would say, you can never have enough Phish in your life. Here in Cleveland, we've been blessed for the past year with burgeoning live performances from The Powerful Pills. 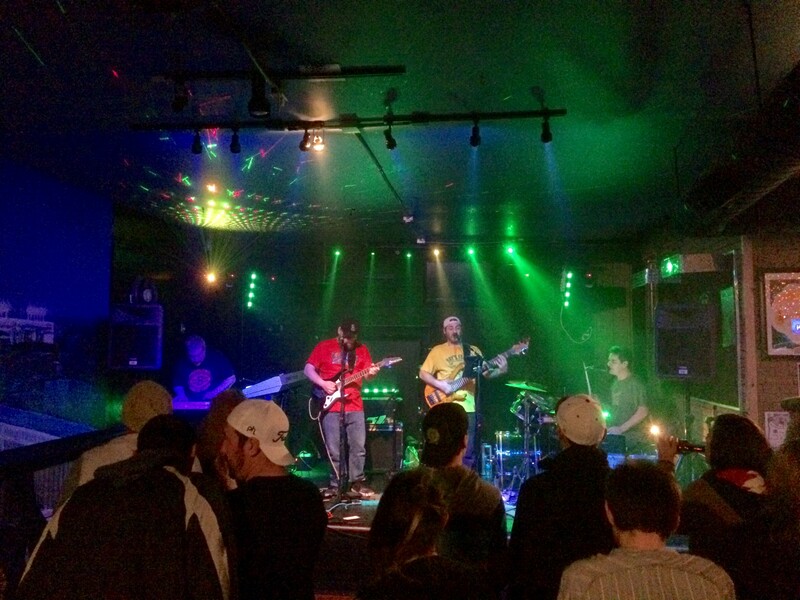 Rooted at Iggy's in Lakewood, the band has really caught the attention of our local jam scene — some members of the band hail from Dead Ahead Ohio, one of our local Grateful Dead tributes — and they've even begun performing outside of the state recently. This weekend, the band takes the stage at the House of Blues downtown — a big step upward and forward for a band in its nascency. "We were sitting around at a [Dead Ahead] show one time, and we said, you know, let's play some Phish sometime," guitarist Jason Donovan tells Scene. It was a natural idea. Soon enough, the guys began playing a handful of Phish tunes at the Wednesday night jams at Iggy's. "We were hooked." The band is filled out by Bill Sadler on drums, Steve Horvath on bass and Joe Hartsel on keys; all of the guys sing, with Sadler seeming to take most of the vocal duties. Borrowing from the Phish philosophy, all of their shows are different — unique set lists and open-ended jamming that completely departs from the song structure and whatever planes previous jams might have landed on. It's this, the inherent magic of the performance, that grew The Powerful Pills from an idea to a musical magnet so quickly. Plus, the guys are just great musicians. They clearly woodshed this material, and their talents converge into kaleidoscopic jams each night. "I've been learning different riffs and chord progressions, and really studying the recordings and playing along with them. I'm thinking about what Trey would do here," Donovan says. "But I came to realize that a lot of my playing over the years has already been influenced by Trey Anastasio and Phish. It just struck me as funny, now that I'm doing this. I never realized how much he had actually influenced me. The Powerful Pills play the House of Blues on Saturday, March 26. Smilin' Joe opens the show. Doors are at 7 p.m. Tickets are free and available from band members or various businesses around town (1o tickets were dropped off at Daystar in Lakewood yesterday, for instance). But here's the simplest way to get in: There's a pre-party at 21 Lounge on Saturday that begins at 5 p.m. You can snag a ticket there, along with a drink and a fine conversation about everyone's favorite barbershop quartet, Phish.